Evidence-based treatments are interventions that have been validated through methodologically sound studies and shown to produce significant and/or clinically meaningful effects on behavior. There are many treatments for autism spectrum disorders (ASD); however, only a handful of these treatments are evidence based. 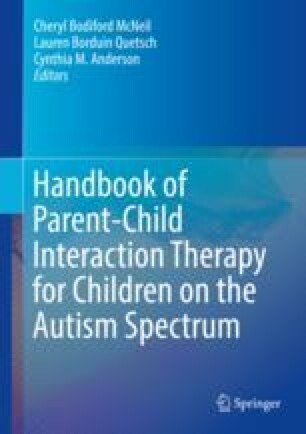 This chapter discusses the main components of several evidence-based treatment models for individuals with ASD including (a) Early Intensive Behavioral Intervention, (b) Pivotal Response Treatment, (c) Early Start Denver Model, (d) Learning Experiences and Alternative Program for Preschoolers and their Parents, and (e) Treatment and Education of Autistic and Communication Handicapped Children.